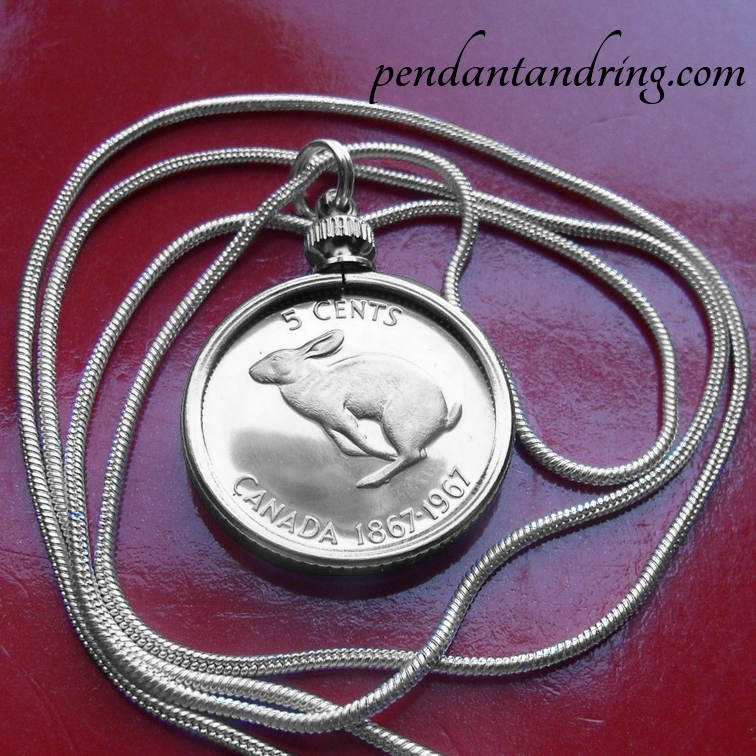 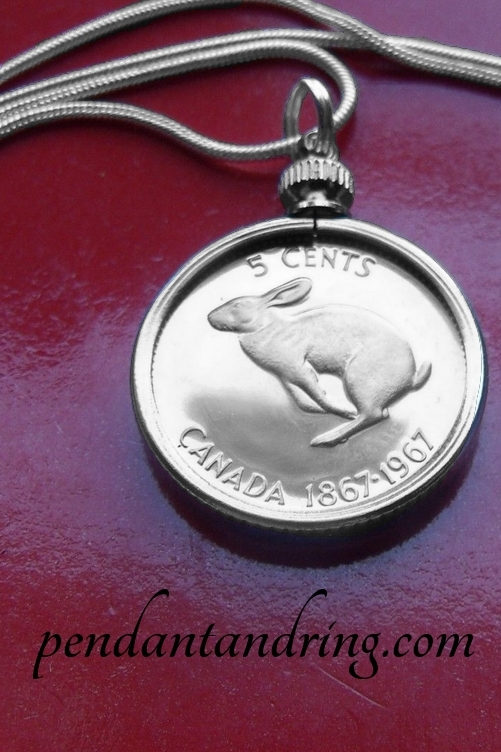 Canadian Bunny Rabbit Pendant Necklace. 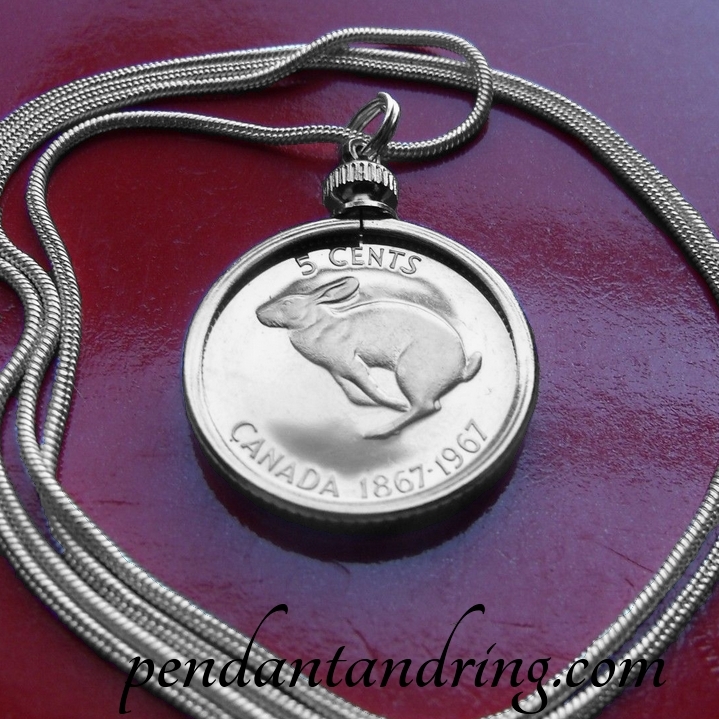 100 year anniversary 5 cent coin! 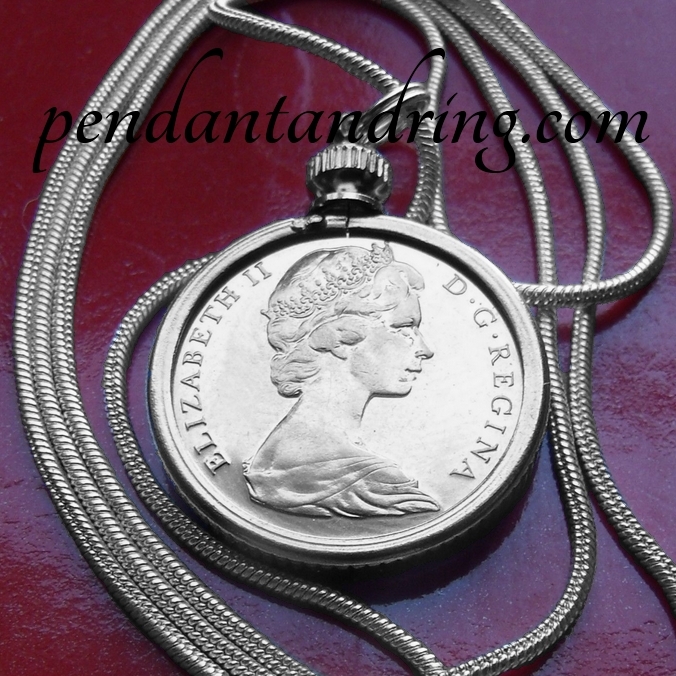 the necklace is 30 inches long.